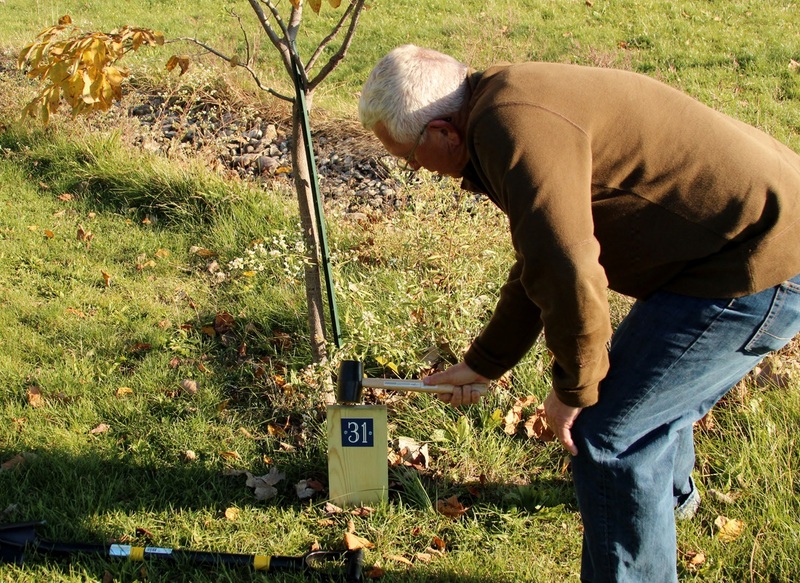 Through a summer of record-breaking high temperatures that turned into a drought, we watered our trees by hand every single week. We lost one of our new chestnuts and our Flowering Red Dogwood, but the remaining survived. Our students arrived for their first day of school on August 17 to find "Art in the Park"! Sarah Lawrence created for us a flock of birds that have found a permanent home soaring over the arboretum landscape. 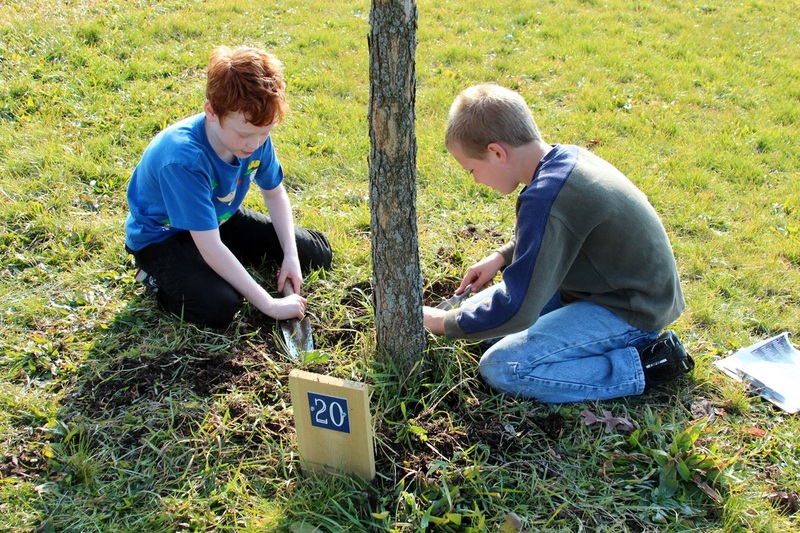 Before the new Fifth Grade Eco Club students "meet their trees", we decided to replace the temporary markers. 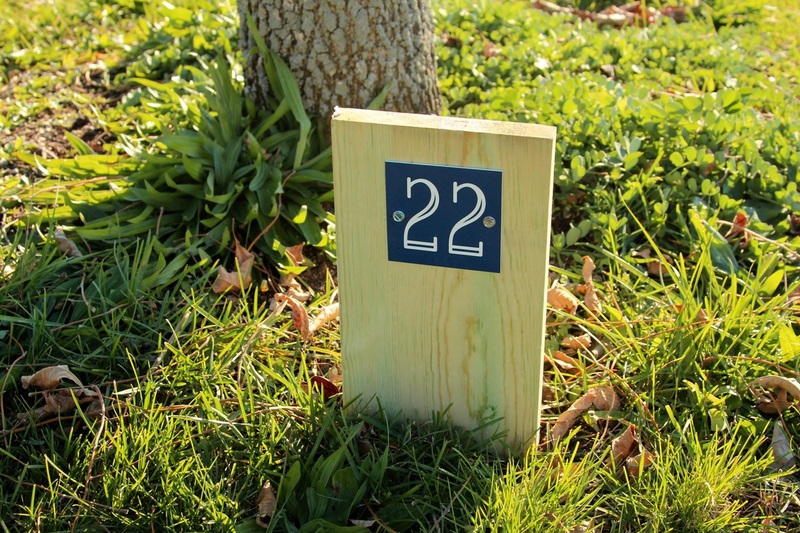 Mr. Ghere used treated lumber as stakes and attached the remaining numbers to them as permanent signs. 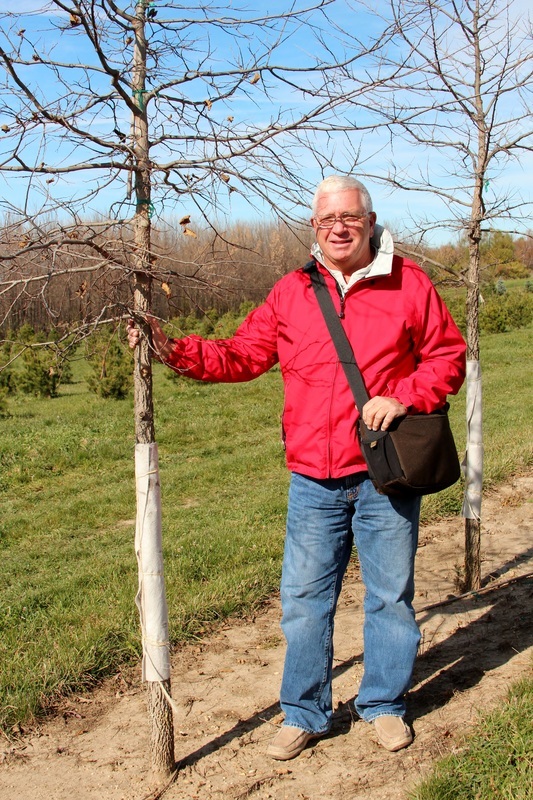 The Mattoon Lions Club donated two trees,and a trip was made in October to Moore Trees in Champaign, Illinois to tag and purchase them. 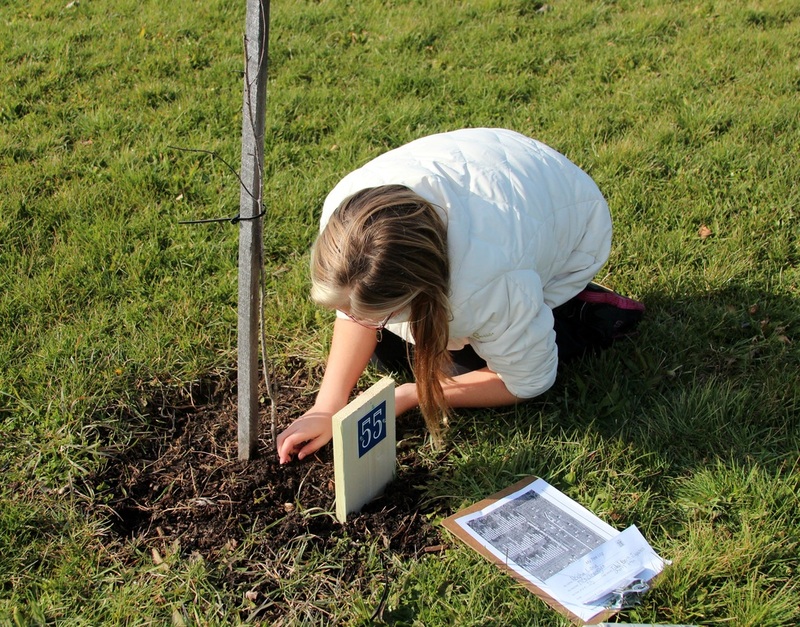 Mrs. Stewart's class planted the American Elm on November 9, 2012. More pictures can be seen here. 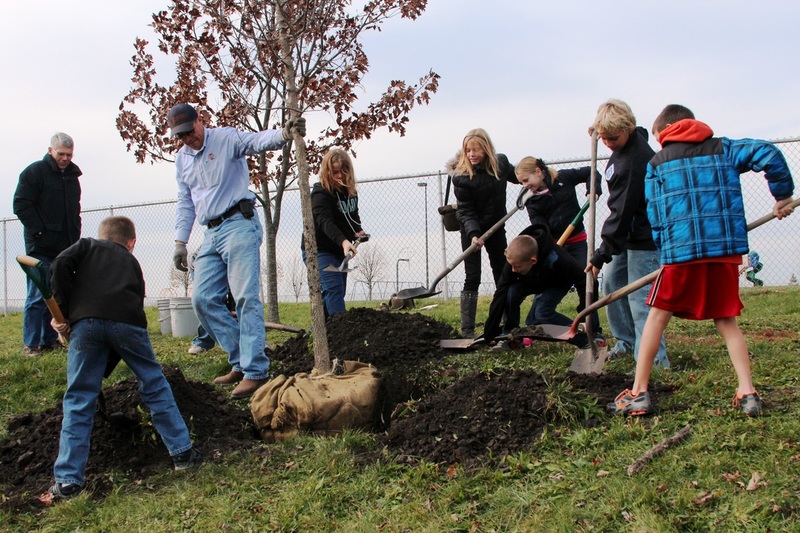 On November 14th, students from Mrs. Stewart's and Mrs. Hudson's classes helped the Lions Club plant the tree they donated. More pictures can be seen here. 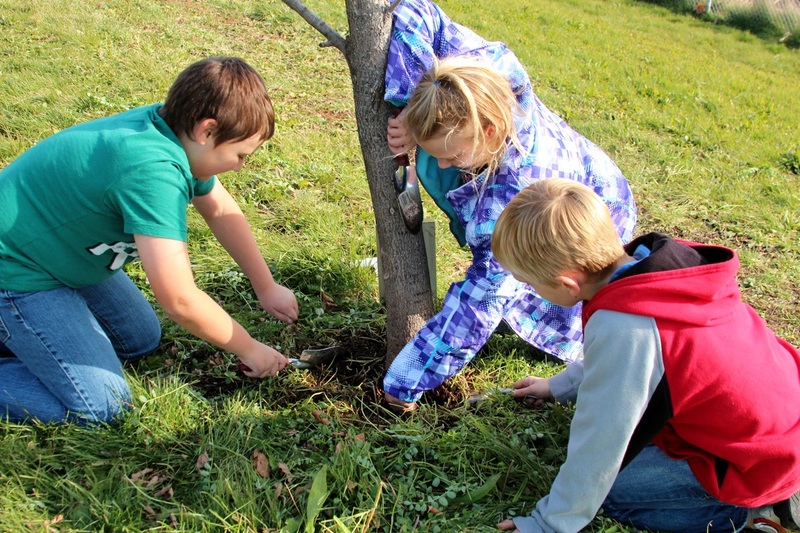 In November, we introduced all Fifth Grade classes to their trees. ...and enjoyed a very sunny November day outside! 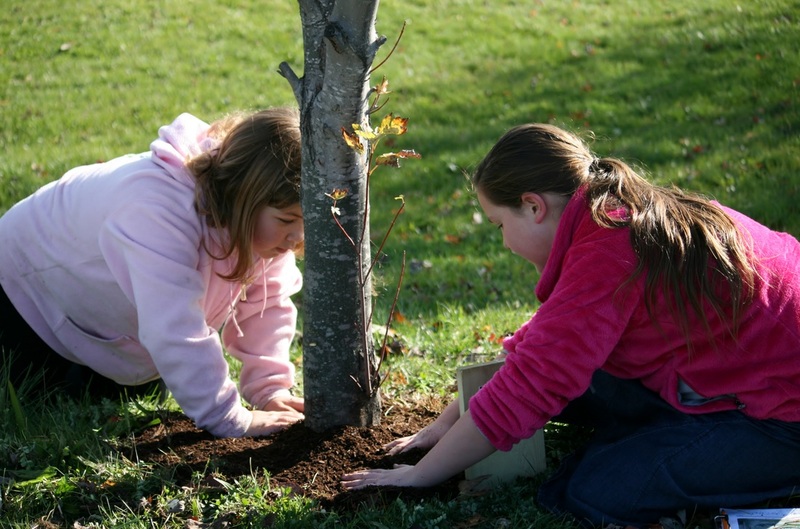 ...and mulched their trees, too. 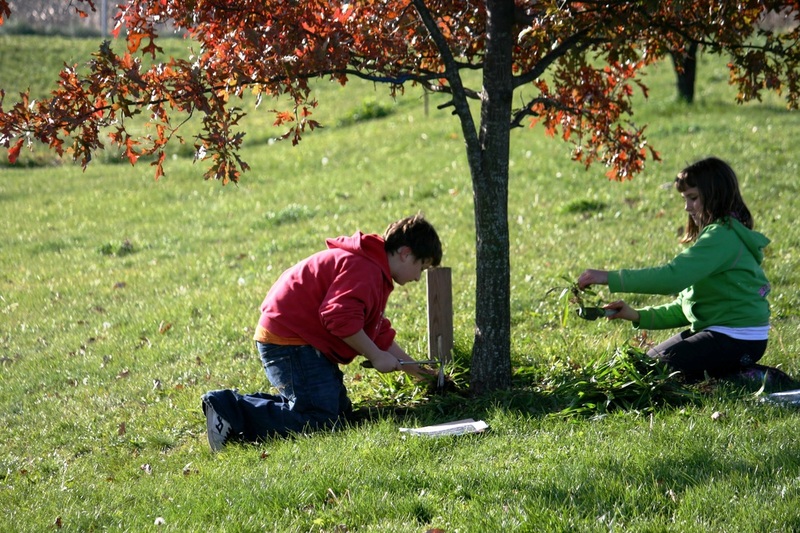 ...working hard to finish up the last of the trees before the cooler weather arrived. 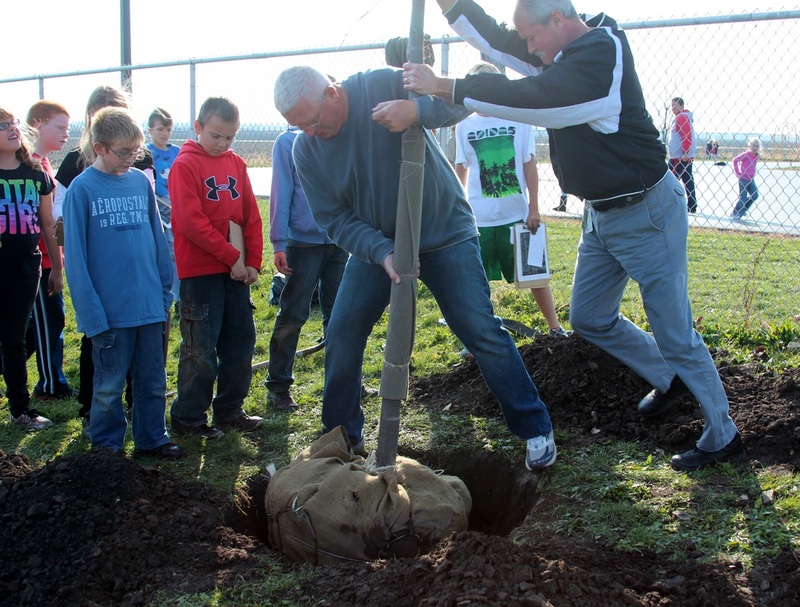 In October 2013, Tadd and Tobi Brachbill donated a huge boulder with the inscription to put at the entrance to our arboretum. It took many hands to get it moved to the entrance way, and we could not be more happy to have the name "officially" in place! 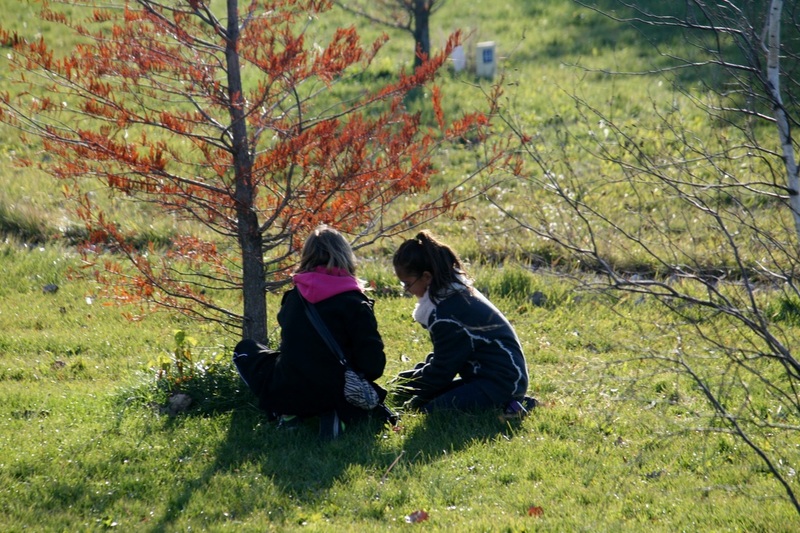 On the morning of November 21, we were worried that we wouldn't get our next class out to work in the Arboretum. It was foggy, and the students were looking forward to spending the afternoon before Thanksgiving Break outside with their trees. Early in the morning, Mr. Ghere made his way to Arboretum with his camera and captured these images. 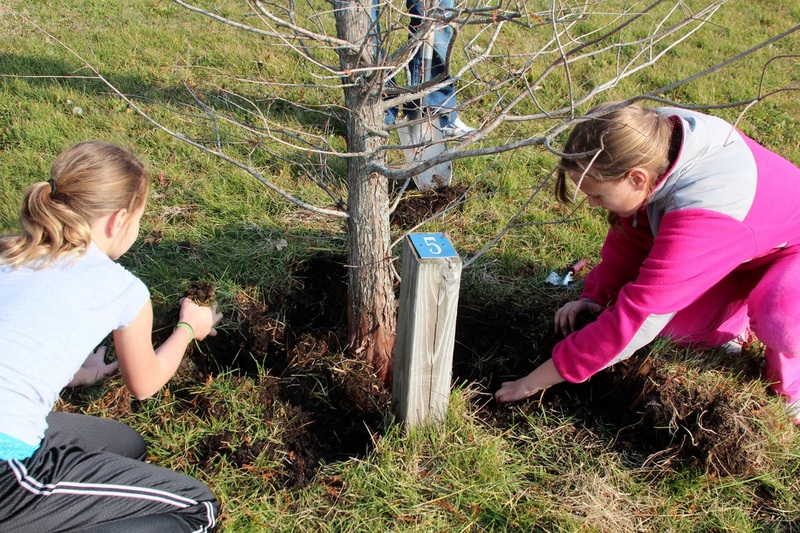 On Monday, April 29, we planted 10 seedlings from the Arbor Day Foundation. 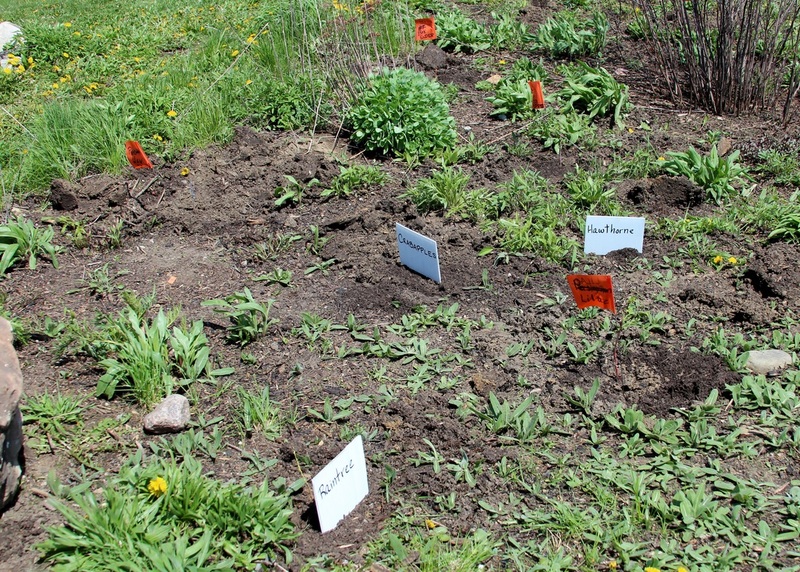 We decided to provide more protection for them by using two of the prairie plots as a "nursery". we'll move the responsibility of their care back to our fifth graders. 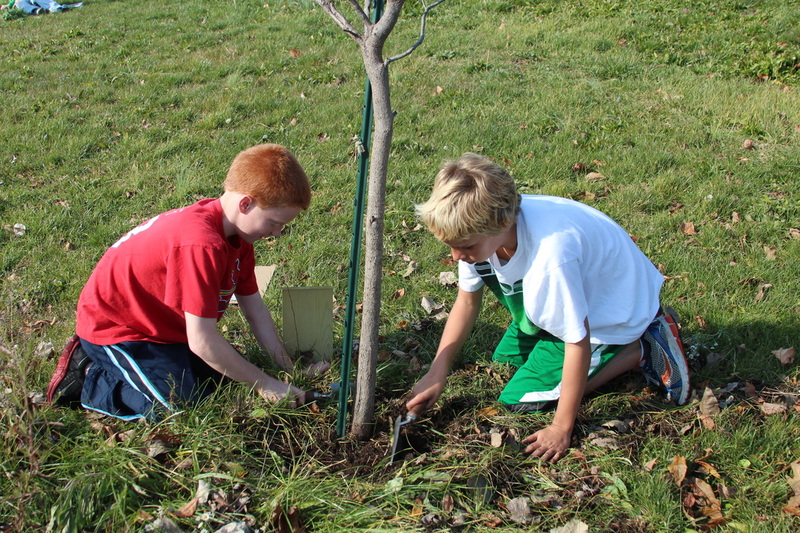 We also planted two Lilac bushes. 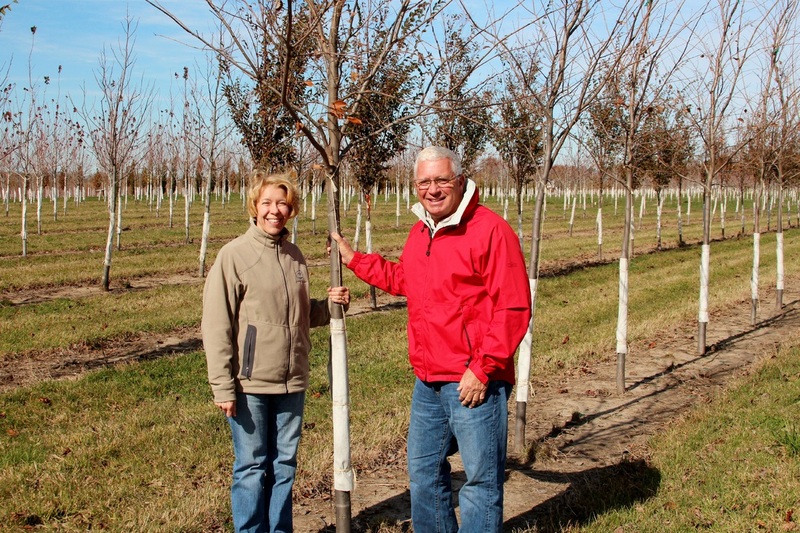 So far our spring has provided perfect weather to bring our trees out of dormancy for their next growth season. Please visit their "Nursery Page" to monitor their growth.